Have you ever had one of those days where no matter how many times your alarm goes off, you simply can’t get out of bed, and doing arm reps hitting the snooze button is about as productive as you’re going to get for the next hour? Hey, me too, still human here! But here’s how to make the most of that hour long snooze in the morning (or five minute snooze if you’re not one for a love affair with the snooze button). When we are in the semi-conscious sleepy state, just before waking, or just before getting out of bed, we’re not operating from an egoic place, which is where most of us operate from on a daily basis (unless you’re a Consciousness master). Nor are we fully using our energetic bodies so the negative mind, positive mind, and neutral mind are yet to kick in. We are simply operating from our Soul body, and having barely returned from astral travelling, we’re in a very expansive state, capable of dreaming up just about anything AND calling it in. So, with this in mind, next time you’re snoozing, take the opportunity to visualise and snooze-dream (yes we just made this a thing) about all the great big huge ‘impossible’ dreams you’d like to achieve this week, this month, this year, this lifetime, and allow the trailer of your soon-to-be-life-beyond-your-wildest-dreams play in your minds eye from the sleepy slumber of your bed (we all need a cinema room in the house right?!). 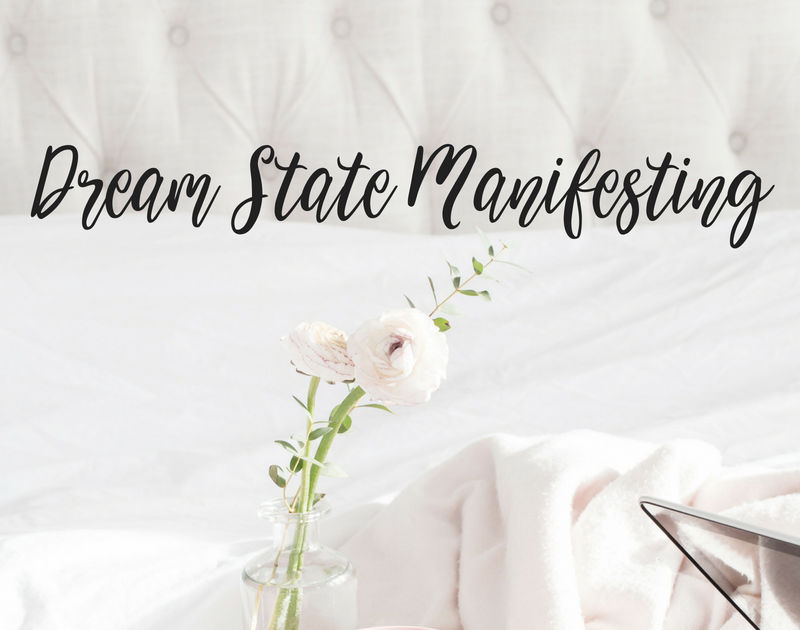 And the key to manifesting, all kinds of manifesting, whether it’s Moon Manifesting, Dream Manifesting, Meditation Manifesting, Consciousness Manifesting, or any other kind of manifesting… is to SURRENDER. So jump out of bed, in your newly inspired state and get on with your day! Save the next epic trailer for tomorrow morning and allow inspired action to fill your day. And remember, we don’t WAIT for inspired action, we TAKE inspired action! Drop me a comment below and let’s add some extra charge to your super dream manifesting powers!